The hardest part is making content people really want to watch. People don’t care about your products and services. With the tap of a finger, people can change the channel and watch anything that’s available on the web. Making content that stands out and holds people’s attention doesn’t have to mean filming cats on skateboards or shocking humour – but it does have to serve its audience first and your brand’s PR agenda second. Steffan Aquarone delivered a series of training sessions for River looking at best practice and the future of online video. River caught up with Steffan to find out more about how the world of online video is changing, and what clients should consider when investing in online video content. What are the biggest changes you’re seeing at the moment in online video? Although every year since 2005 seems to have been heralded ‘the year for online video’, in reality most brands have been behind the curve. Meanwhile their customers have tuned out to what they’re saying in favour of stuff they find genuinely useful, interesting or entertaining – and it’s never been easier for them to find this online. The good news: if you know your audience’s preferences, it’s never been easier to find them. Traditional broadcasting is going through major changes as new business models emerge; if your business model isn’t threatened by giving away great content for free then now is a good time to be investing in video. What are the biggest challenges in creating compelling online video? People don’t buy products because marketers tell them to. They buy products people recommend them from brands they have a preference for. If you make content people want to watch and want to share, not only will you reach a new audience for free, you’ll also begin to predispose people to prefer your brand. The ‘halo effect’ of good online video content is remarkably powerful – it can even affect offline sales behaviour. But the content and the execution have to be outstanding. ‘Build it and they will come’ is not sufficient. How do you make content people want to watch? Ask difficult questions to think like a broadcaster: who is your audience and what makes them tick? Why do they need what you’re planning to make? Where are they browsing on the web and how are you going to reach them? What change in thinking, motivation or behaviour are you trying to achieve? These are the sorts of things a good content agency will be able to help you discover. Why should companies invest in online video in 2014? It’s big and it’s fun. And like a lot of other digital marketing activities you can learn as you go which means it’s easy to start small and develop gradually. There’s also a high chance your biggest competitors haven’t developed an ambitious video strategy yet. Or if they have and you’re a challenger brand, give them a run for their money! What tips do you have for getting more value out of existing content? Video SEO is all about how to make your videos findable on search engines. It involves making video sitemaps, which are fiddly, but they mean you can drive traffic straight from search engines directly onto the pages of your website where your video is embedded. Of course YouTube is also a search engine so you’ll need to think about which content you want on YouTube and how to make it findable there, too. How can brands encourage people to share online video content? The web is competitive and brands have to think like publishers. This is why River has such a big unfair advantage: they’ve been in the business of producing great content for years – whereas some advertisers are used to buying audience attention and that’s increasingly hard to rely on. The biggest problem most content creators face is that they forget to ask the most important question: ‘Why would I watch or share this?’ Unless you’re producing stuff that’s genuinely practical, informative or entertaining, people won’t watch it – let alone share it. What online video have you seen recently that inspired you? I am a big fan of what Waitrose did with Waitrose TV. It was an ambitious concept, to create a big online destination for food video, but it is well executed and crucially lots of new content is constantly being added. It’s also not ‘salesy’, it’s clearly designed to entertain the audience first and following this to benefit commercially from the brand affection it creates. What do you think the future holds for online video? People are already watching more video on mobile devices (including tablets) than desktop PCs. Your video strategy needs to take this into account and it’s more important than ever to ensure you have the right tools for the job. I think a lot more brands will wake up to the power of online video – perhaps in some surprising sectors. At the moment many companies still block access to YouTube at work, which is a bit like disconnecting people’s telephones in case they make personal calls. I also anticipate that more brands will realise the power of brand entertainment and take it to its logical conclusion. We could even see the next great British sitcom coming from a brand rather than a traditional broadcaster. 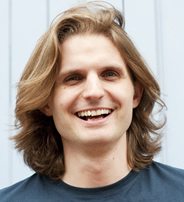 Steffan Aquarone is a technology entrepreneur and co-founder of mobile payment app Droplet.